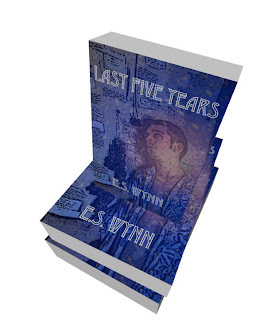 My 34th novel, Last Five Years, is now available in print and in all major ebook formats! This is the “wall book” seen in a number of publicity photos (including the header for Smashed Cat Magazine.) After almost ten years of kneading prose and poetry on this one, it’s great to finally be getting it out there! I’m very proud of it! In your life, there is a dream. The dream. The journey to that dream is written upon this wall, written and carved, impressed element by element through time and splashed ink. This is a prophesy, a prophesy of the future, of the present and of the past viewed through the dirty lenses of a nonconsensus reality, a spell of semi-sense spoken through words more light than sound. On this wall are cast the tools of fate, the markings of an understanding only gained through the journey, only gained through the pursuit of the dream. Check it out online and get your copy today!